A Queen in training! 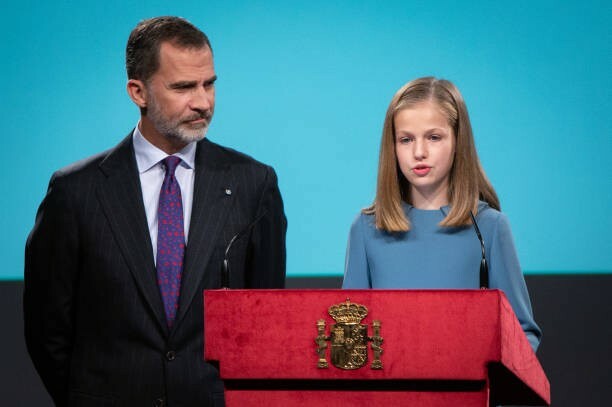 Princess Leonor of Spain reads Article 1 of the Spanish Constitution as her father The King looks on with pride (photos) ~ Nigerian news platform bringing you News in Entertainment, Politics, Sports & Lifestyle. Her Royal Highness Leonor, Princess of Asturias, will make such a fine queen when her times comes and her father is making sure of that. 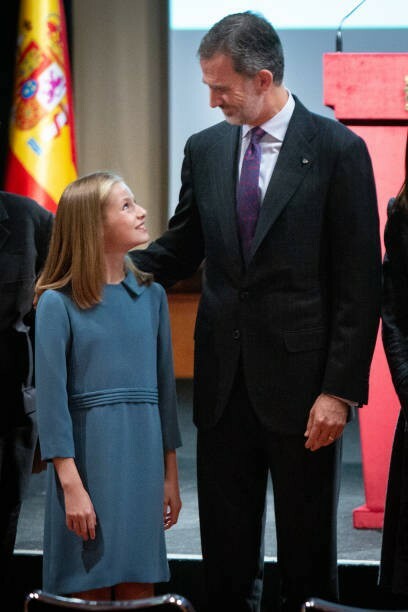 The Princess, who turns 13 today, is the first in line to the throne of Spain as the elder daughter of King Felipe and Queen Letizia. She attended the reading of the Spanish Constitution with her parents and her younger sister Infanta Sofia of Spain. Today is the 40th anniversary of the approval of the Spanish Constitution by the Congress of Deputies. The Princess of Asturias read Article 1 of the Constitution as her father looked on with pride.